A range of sealable, plastic, platters, rectangular and windowed sandwich boxes and containers are available for custom sizes and artwork. We use food safe plastic and cardboard and other material. You can submit your artwork or our art department will create one for you so your product will look fabulous in full colour printed boxes with logos, messages and details on it. 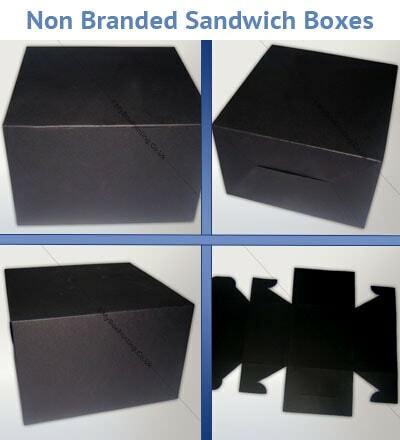 We are among the top quality printers for custom sandwich packaging boxes. All shipments come in flat packaging. We offer free shipments, free Gloss or Matte lamination and artwork. It normally takes up to 6 working days to process orders. We can deliver up to 25,000 units per order. Free expedited shipment facility is only available for customers in UK. 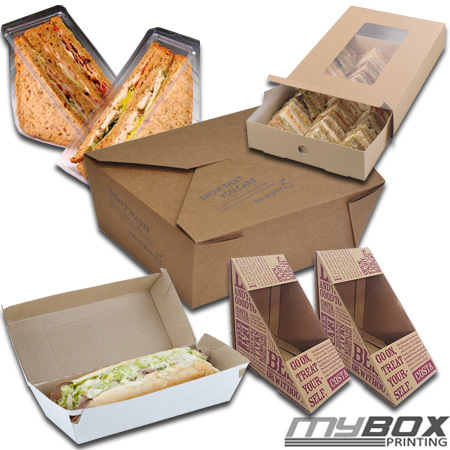 Thanks team for providing us food safe cardboard type logo printed sandwich boxes. The window plastic is so clear and quality of printing on these cardboard is good. 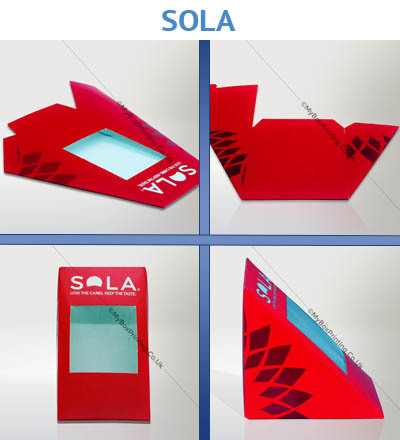 We also requested for Spot UV printing and embossing along with Matt lamination.